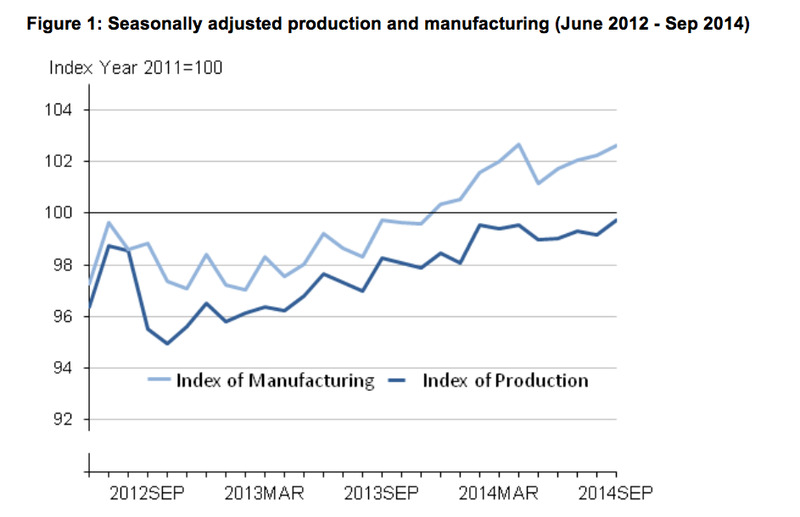 UK Industrial production increased by 0.6% between August and September, which is better than the expected 0.4% increase. The marginal uptick reflects increases of 3.8% in mining and quarrying, 0.4% in manufacturing, and 1.5% in the water supply, sewerage, and waste management sector, the Office of National Statistics said. 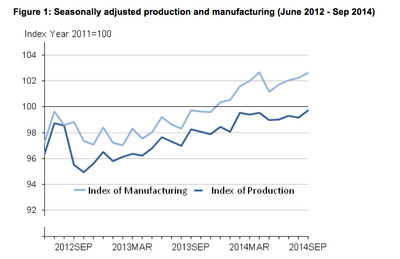 Production and manufacturing increased by 1.5% year-over-year in September. Markets are down in Europe.